Recently I came across a newbie knitter and I was thrilled to be able to point him (yes, him) in the direction of all things Ravelry related. A quick glance at a few Brooklyn Tweed and TinCan Knits patterns was all it took and he was soon cranking out amazing hats and planning many more ambitious projects with gusto. One thing that struck me though was the advice he had received from well meaning knitters in his circle of friends who, without exception, had recommended starting with some something simple like a "nice garter stitch scarf". Now, I don't know about you but the thought of knitting 5 or 6 feet of plain garter stitch is enough to make me run for the hills. Why on earth do we persist in this well meaning advice and not accept that new knitters can handle a multitude of techniques. They don't know if something is 'hard' unless you tell them it is. Circular needles and knitting in the round aren't just the preserve of more experienced knitters. After all, if you can cast on and master the knit stitch you can work a rolled brim, stockinette beanie. Learn the purl stitch and you can add in a ribbed brim. Feel brave and try a cable - the possibilities are endless and sure to be more satisfying than slogging away on a flat, 6 foot garter stitch scarf. 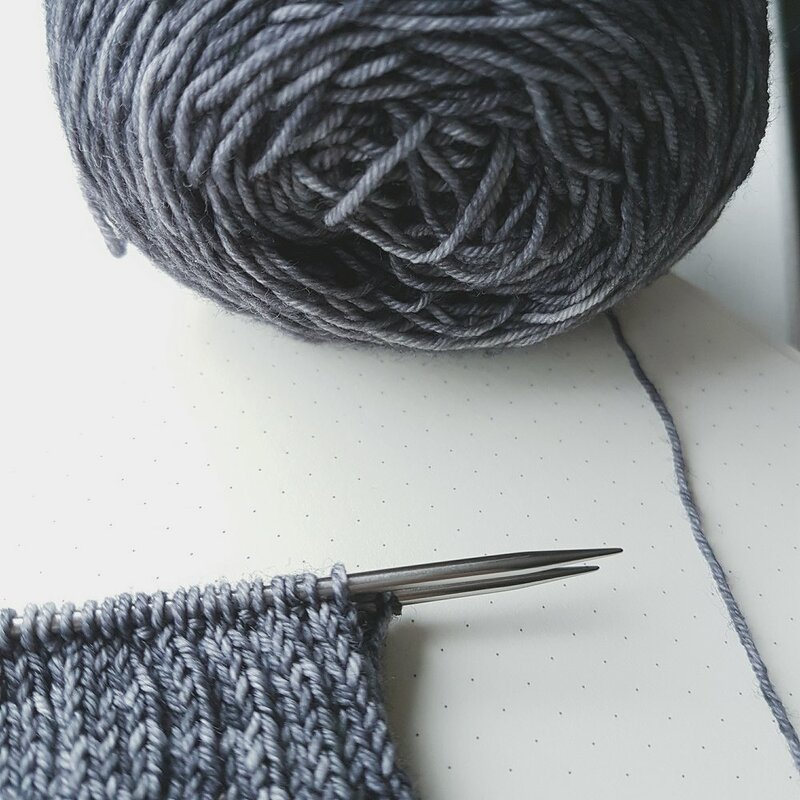 It's been some time since I learnt to knit (putting it mildly) so it can be hard to think back to those scary days when you felt like you had more than your fair share of thumbs, and more awkward than a giraffe on roller skates. But as with so many things in life we learn from doing, not by slogging through an endurance event. And, in my humble opinion, knitting 6 feet of garter stitch only teaches you about persistence and the strength of the human spirit - very little about knitting. So why not be brave and help a new knitter out - introduce them to some fabulous yarn, decent needles and a peruse of Ravelry. They will be eternally grateful and you could help save them from death by scarf!